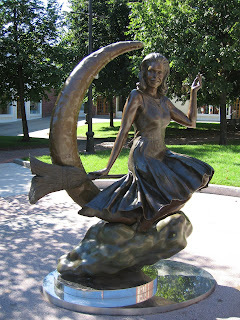 SeaGlassThings: My name is Marla Kunselman and I live in Salem, MA. I have two girls - Taylor, who will be 14 July 4th, and Devan who is 3.5. I am a member of the Boston Handmade Team through Etsy. I am a Salem State College Alumni and studied Art and Advertising/Communications. I used to be in advertising years ago and most recently was a Quality Assurance Engineer for a educational software company - WebCT at the time and since they have been bought out by Blackboard. I was laid off when I was pregnant with my second daughter - since then I have focused on my business and my kids full time. I am very busy and always juggling a dozen things (activities, projects, you name it) at a time. I am so happy that summer is here and things can slow down a bit! BH: Apart from creating things, what do you do? SeaGlassThings: Hmmm, that is a good questions - well, I am a caregiver, chauffeur, entertainer, maid, advice guru.... HA! Seriously - Right now I am just focusing on my kids and spending as much time with them as possible. I also write - hope to get a children's book finished, I write poetry - love sports and being outside as much as possible. We try to get out and kayak as much as we can. I am starting the process in the fall of returning to a "day job" full time - so we shall see what happens. BH: How long have you been doing your artwork/craft? SeaGlassThings: I have been creating sea glass jewelry and minimal home goods for about 13 years now. Over the past year or two I have expanded into clothing, pens, stationary and more home goods. BH: - What is the first thing you can remember making by hand? How and why did you make it? SeaGlassThings: A hook rug from a box that I got for Christmas when I was little - I remember I sat for hours making that darn thing.... don't recall what ever happened to it though! SeaGlassThings: My creative process is ongoing - I constantly think about what new and exciting things I can come up with - whether it be designs or a new product. I like to think "out of the box" and create what no one else it creating. Year round I spent countless hours on the beaches collecting the sea glass and shipwreck pottery I use in my work. I use sterling silver for my jewelry - no base metal. SeaGlassThings: I get my inspiration from textures, colors - the outdoors - and then melding them into art. Most of the time I "create as I go" to see how a particular piece will take shape. 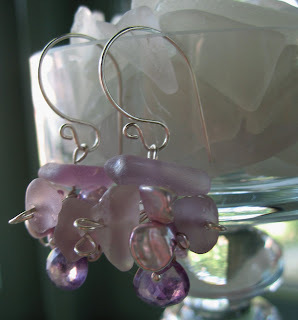 I like to incorporate other elements in to my jewelry as well - beads, natural stones, precious stones, and pearls. I find it gives depth to my work... however, there is also beauty in simplicity. 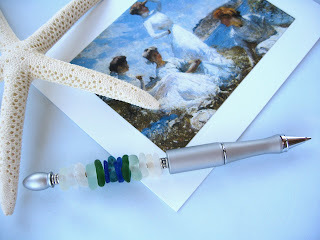 SeaGlassThings: I "upcycled" found objects from the shore - sea glass and shipwreck pottery - into wearable and usable art. BH: What is your biggest obstacle with it? SeaGlassThings: My obstacle is two fold. 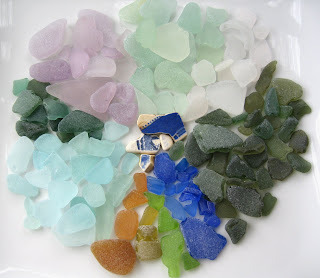 Sea Glass is becoming more and more difficult to find due to environmental awareness, technology, and popularity. Also - because of increased popularity there are many more sea glass artists now - thus more competition. BH: How do you promote your work? SeaGlassThings: On Etsy I try to get into the forums and chat as much as I can. 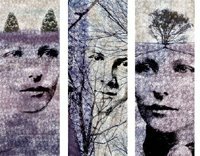 I featured Etsy artists in my blog and try to promote them as well in the forums. I also frequently renew my expiration dates on my items – to keep my self at the top of the barrel. I have taken part in the Handbook to Handmade by fellow Etsian Timothy Adam Designs and also the Artisan Impact Magazine (80,000 copies distributed in the US and Canada). You have to spend money to make money – especially when you are trying to get a biz off the ground. I am not a stranger to the Internet and have sold on it for many years – I also do a lot of link exchanges with my blog and purchase online advertising spots as well. I have had a professional banner/avatar made and a logo done as well as all my promotional items. I am getting involved in my community as much as I can – recently I have donated to large ticket items and in return I will be advertised. I participate in events as a vendor and do home parties and commissioned work. So – there is really a lot I do and most of my time is spent on marketing myself. And... when I am out - I wear my goods - no better advertising than that! BH: What’s your most interesting fair/show experience? SeaGlassThings: I would have to say last year - the First Annual Salem Jazz Soul Festival at the Salem Willows - It was mid August and so windy and cold you would have thought it was going to snow. My tent blew away - even though I had it secured down. Everything was blowing off the table I had to find rocks to hold it all down and couldn't put out most of my items. However, I made out ok and drummed up some decent sales that day! BH: How long have you been involved with Etsy and what have your experiences been? SeaGlassThings: I have been on Etsy since November 2007. Although I have been in my business for 13 years - I recently found Etsy were there were already sea glass designers that had been on "Etsy" longer than I - not necessarily in the business longer. That has been challenging to carve out my piece of the pie on Etsy. It took me about 3 months to make my first sale - and then has been steady by increasing at least one more sale a month. I realized that I had to relist items often as well. I really didn't know where to go for information about what I was supposed to be doing - so I just jumped in forums - made friends, asked questions and things took off! BH: What advice would you give to artists who are new to Etsy? Photo quality: Brighten up your images if possible - always use neutral background and make sure you never display blurry pictures - the first picture should have a full image of your product. Always use 5 pictures and all 14 tags when listing - in 1 of your 14 tags should be your Etsy shop name. When listing items that would be "used a certain way" ie: cards, suncatcher etc. make sure to have different angles (inside, back of cards... maybe the suncatcher hanging in a window) so customers know what they are buying and how the product looks/functions. Shop announcement - have a catchy tag to draw people in - but keep it short as well. You can have all the dirty details in your profile. Having a complete profile with all your terms and conditions: very, very important as it protects you as a seller and the buyer as well. List as often as you can - and relist at least 1 item a day - best time is after 5:30PM. Get involved in the forums and chat - forums first and foremost - take part and also start forum discussions and some of the Saturday games that take place. Find communities outside of Etsy - start a blog, join myspace and indiepublic and so on...promote, promote, promote! When you are established enough - join an Etsy Street Team! Shop banner and avatar - Make sure you have a shop banner that promotes what you do - and that your avatar is clickable! Make sure to set up you sections and categorize your items so customers can easily navigate your store without having to go through the pages. BH: Read any good books lately? SeaGlassThings: 'The Secret' and I have started 'the Law of Attraction'. We can have anything we desire - we just have to believe it and in ourselves! BH: What are your most and least two favorite films? SeaGlassThings: Least favorite movies: Top Secret and Passage To India. Favorite Movies: The Lost Boys and Flatlinners... oh and many more!!! BH: Is there anything about you that would surprise people to know? SeaGlassThings: When I was in high school I played basketball – we had a fundraiser in which we invited members of the New England Patriots to play against the varsity team in which I was on. I was defending John Stevens as he was going in for a lay-up… I leveled him and he fell like a ton of bricks on the court… stopped him dead in his tracks from scoring… he was probably twice the size of me. Needless to say he was NOT very happy with me. HA! BH: Where do you see yourself in 5 years with your art ? SeaGlassThings: I hope to be doing exactly what I am doing - but on a much larger scale. I am hoping to apply for grant money in the near future to take things to the next level! Marla, great interview. Thanks for all the promotion tips! BTW, did you know I am also a Salem State Communications & graphic design grad? I taught for a while in the communications dept. with Sandy Fowler too. I loved it there. That is way too funny - I totally remember Sandy! I graduated in '94 and remember her well - it is a small world ;-P.
I hope you follow your hearth in life and in career. You deserve success in both!